On May 2, 2018, Consul General Hong Lei visited the University of Iowa in Iowa City. Consuls from the education office accompanied Consul General Hong during the visit. 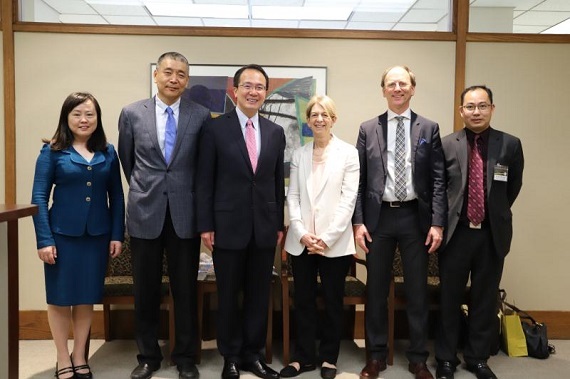 Consul General Hong Lei met with Sue Curry, Interim Executive Vice President and Provost, Downing Thomas, Associate Provost & Dean of International Programs, as well as other faculty members. Consul General Hong Lei said that the University of Iowa is a renowned state University which has forged long term friendly relations with many Chinese universities. The University now has over 2,000 Chinese students, and has made extensive efforts to ensure that Chinese students study safely and successfully on the campus. Exchanges on education are important component in China-US relations. The friendship among young students is the foundation for sound China-US relations in the future. We support the University of Iowa to conduct more cooperation with China, and contribute more to the people-to-people exchanges between the two countries. Vice President Curry said that the University of Iowa has attached great importance to cooperating with China and has built up many cooperation programs with Chinese universities. The University would like to strengthen ties with more Chinese universities in the future. Chinese students make up the largest overseas student group on campus. The University will keep supporting Chinese students’ study, and do more to ensure their safety and health. Consul General Hong Lei also visited the division for international programs and Confucius Institute accompanied by Provost Thomas. Provost Thomas said that the Confucius Institute has helped American students learn Chinese and Chinese culture and encourage them to become a world citizen. We value such cooperation platform. The University will actively support the development of the Confucius Institute. 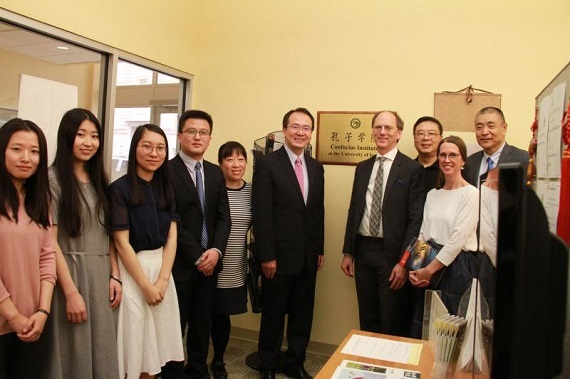 Consul General Hong Lei said that the Confucius Institute has opened a new window of opportunities for American students’ development, and enhanced friendship between Chinese and American young people. He wishes that the Confucius Institute could make greater achievement, contributing more to the people-to-people exchanges between the two sides. 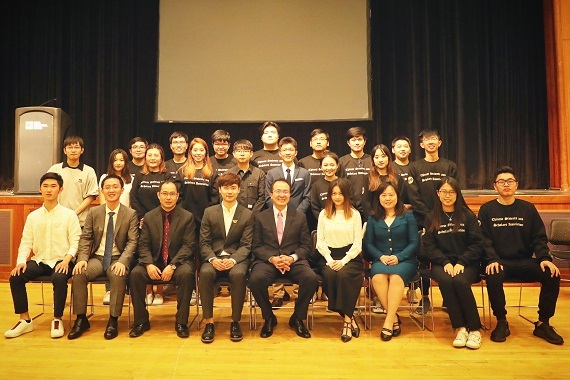 During the visit, Consul General Hong Lei also met with members of the Chinese Students and Scholars Association, commended their voluntary support to the Chinese students, and wished that they could continue to play a key role in uniting and serving the Chinese students.